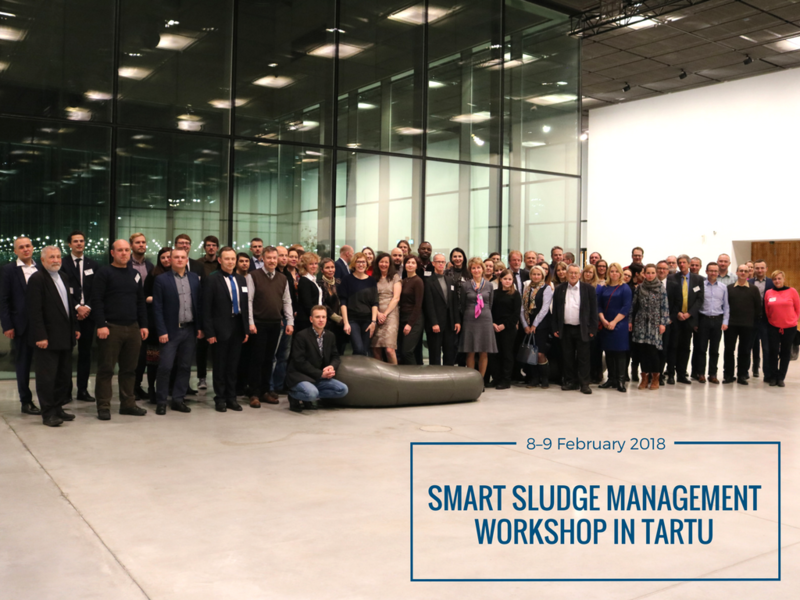 The 4th IWAMA workshop on Smart Sludge Management was organized in Tartu, Estonia, on 8–9 February 2018. The workshop brought together more than 95 participants representing regional organizations, national ministries, universities and local practitioners to discuss sludge handling issues in the Baltic Sea Region. The workshop opened with the welcoming words from the head of the Tartu Waterworks Toomas Kapp introducing Tartu – the city of good thoughts. Tartu Waterworks has been functioning since 1929, and today the organization successfully governs water, sewerage and storm water networks in the city. As an IWAMA partner, Tartu Waterworks is implementing a pilot investment on the local wastewater treatment plant. As the workshop was focused on sludge management, it was important to begin the event with opening the issues of national and European legislation towards it to generate a common background for discussions. The existing legislation in the sludge sphere was in the focus of the workshop’s first session. Invited speakers from German and Finnish environmental ministries Claus-Gerhard Bergs and Ari Kangas and the Estonian representative Vallo Lemmiksoo introduced respectively German, Finnish and Estonian legislation concerning sludge, as well as the EU context to it. They were then followed by perspectives on the sludge handling through the issue of pharmaceuticals in municipal sludge raised by Egge Haiba and the vision of HELCOM on sewage sludge handling and recycling of nutrients presented by Dmitry Frank-Kamenetsky. The speakers from both sessions were invited to the panel discussion, where the matters of legislative changes concerning sludge and perspectives on its future use were further explored. The panelists emphasized, among other points, that any regulation has to consider the total impact on the environment, and that tailored solutions should be foreseen for each local and regional case when discussing the perspectives of sludge handling. This sphere requires the development of technologies and extensive dialogue that will support its harmonization on the regional scope. The second part of the day was devoted to the more practical use and handling of sludge: various ways of treating it were raised, together with discussing products that can be obtained from sludge. Treating sludge for further usage, finding applications for generated biogas, and defining the role of the circular economy when it concerns waste, – these and other issues were brought up throughout the day. After the rich and eventful programme of the first day, the programme of the second day continued with a site visit to the local WWTP and project-related sessions for the IWAMA partners. Thank you all for participating in the workshop providing us inspiring discussions to digest and challenges yet to solve! Looking forward to meeting you again!